This was the third visit by police to the property in less than a week. 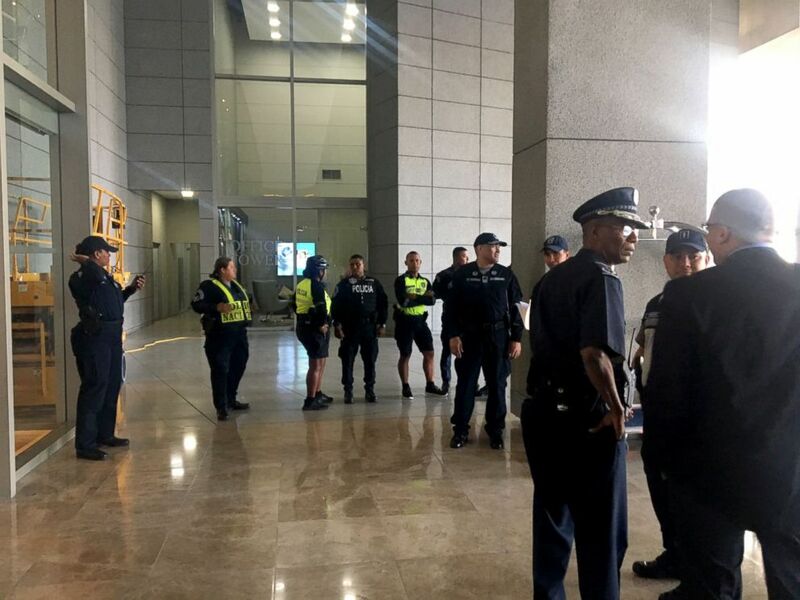 More than a dozen police wearing bulletproof vests entered the lobby of the Trump International Hotel in Panama on Monday morning and evicted the Trump Organization’s staff, a move that comes after weeks of simmering tensions over control of the property. The Trump Organization manages the hotel in the 70-story tower overlooking the Punta Pacifica Peninsula and the new majority owner had gone to court in the U.S. and Panama to evict the company run by President Donald Trump’s sons. There were scuffles as police arrived to carry out the eviction, and Panamanian court officials were present. 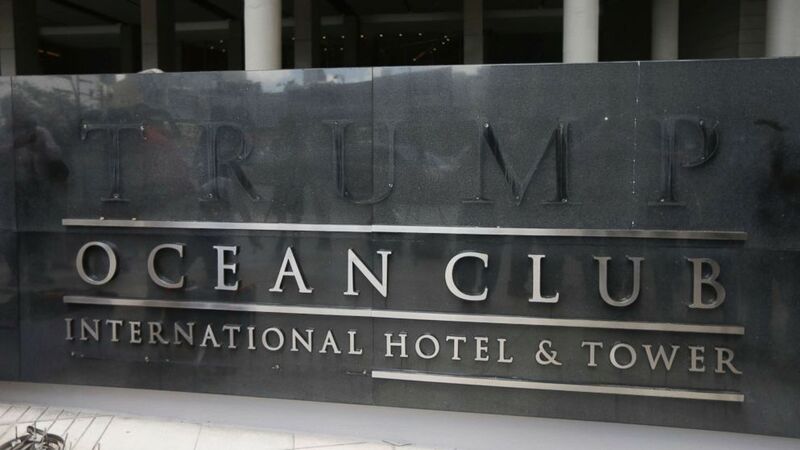 (Arnulfo Franco/AP) A marquee with the word Trump removed, is seen outside the Trump Ocean Club International Hotel and Tower in Panama City, March 5, 2018. Photos of the office obtained by ABC News building indicate that while the Trump employees left peaceably, they allegedly took some of the building’s computer equipment with them. Officials at the Trump Organization believe the firm will regain control of the Panama tower eventually and said Monday’s eviction was only meant to put the property in the hands of a third party while its dispute with the majority owner gets resolved through arbitration, according to a statement issued late Monday. “Based upon the merits, Trump Hotels remains fully confident that it will not only prevail, but recover all of its damages, costs and attorneys’ fees, including those damages, costs and attorneys’ fees arising from today’s events,” the statement reads. The ongoing dispute represents an early test for U.S. diplomats navigating international relations in places where the president’s family manages properties or conducts other business ventures, and it comes just days before the scheduled resignation March 9 of the U.S. ambassador to Panama over his personal disagreements with the Trump administration. (ABC News) Police entered the lobby of the Trump Hotel in Panama, March 5, 2018. “Operators gross incompetence and deficient sales organization stands in the way of [the] owner making any profit on its investment, all the while lining the [Trump Organization’s] pockets,” he alleged in a court filing.